For 8 year old Aisha the excitement for Capoeira starts way before the training and fills her day with a thrill of anticipation. Another example of the startling effect that the classes have in building hope for kids in conflict zones. The classes are also a family activity, and help the children make friends and have something to do outside of the classes. Two of the girls, Zahra and Leila, sisters, eight and 10 years old respectively, have been coming with their two brothers since the programme started in June and never missed a single class. They practice on the streets, showing off their new skills and teaching their friends when there is no session. Zahra once took a pandeiro home to learn to play the rhythm: ‘We played the pandeiro all the time and didn’t want to stop’ she says. There are also those students who are a lot shyer, and need a lot more courage to try some-thing new. Fatima was one of them. At first, only her brothers came to the class and she stayed at home, but they liked it so much and always told her to come with them and have fun together that around two weeks ago she agreed to come as well. In class she stayed close to her two brothers and didn’t speak a word and when the others started doing the ginga she watched them wide-eyed. It took a lot of convincing on the part of Pulo do Gato to get her to participate, but once she had started a big smile appeared on her face and stayed there at least until the class was over. Even her brothers were surprised to see their sister joining in! https://capoeira4refugees.org/wp-content/uploads/2016/02/Blog-forget-the-war-1-1.jpeg 540 800 admin https://capoeira4refugees.org/wp-content/uploads/2017/01/LOGO_type1_white.png admin2016-02-08 11:25:232016-02-08 11:25:23“In Capoeira I forget the war"
“I can’t wait to introduce the children of Zaatari camp to capoeira and give them a place to play and express their frustrations in a safe and healthy way.” This is what Tarek Alsaleh, Founder of Capoeira4Refugees, said when he first came to teach capoeira workshops in Zaatari Refugee Camp, Jordan. After these first workshops in 2013, Capoeira4Refugees strengthened its presence in Jordan in close cooperation with partner organisations. “Having worked with the charity Bidna Capoeira (now Capoeira4Refugees) I know they have the professionalism, innovation and dynamism as an organisation to help in many of the world’s problem areas, said Dr. Roger Hearn, Regional Director Middle East and Eurasia for Save the Children International. “In Capoeira I forget the fear and anxiety about the war. It’s as if there’s no war.’ These are the words of Mariam, an 8-year-old girl from Al Raqqa, Syria. When the Syria crisis drove more and more refugees to neighboring Jordan, Tarek Alsaleh came to Zaatari Refugee Camp to give capoeira workshops to help desperately vulnerable refugee children trapped in a cycle of war and poverty. The sport, play and music of capoeira is incredibly effective in helping children develop the confidence, resilience, and mental strength they need to help them deal with the constant fear and instability of living as refugees. Capoeira4Refugees subsequently expanded its presence in Jordan with regular training sessions in Al Azraq Refugee Camp and community classes in Al Azraq town and Amman. Capoeira4Refugees is an innovative UK charity that started in Syria 2007. It uses the Brazilian dance and martial art of capoeira to provide essential psychosocial support to young people who are the victims of war and conflict. Capoeira has a great impact on entire communities. Everyone can join in regardless of gender/age or ability. This form of sport therapy breaks cycles of violence and creates confidence, self expression and friendship based on mutual respect. It is non competitive – there is no winner and there is no loser. 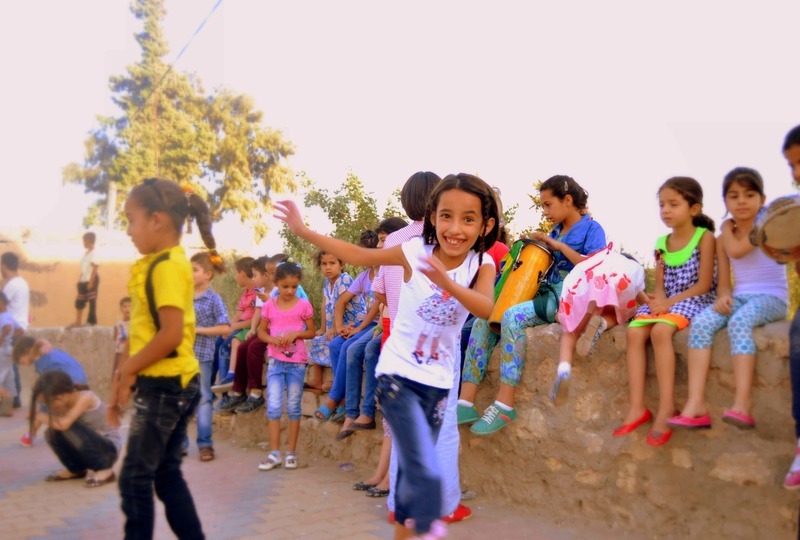 The charity now has projects running across the Middle East in Palestine, Syria and Jordan, with partner organisations such as Save The Children, CARE, UNICEF and UNRWA. “Agencies like UNHCR and Save the Children work so hard to help children suffering nightmarish conditions in the camps, often with no school and no safe spaces to play. Our projects complement this essential work by linking counselors and capoeira experts to give kids the chance to be children again,” says Tarek Alsaleh. 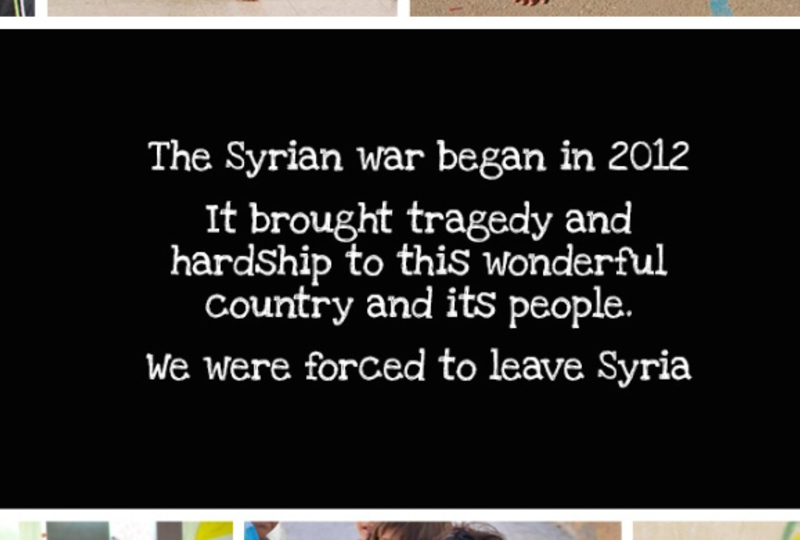 The Syrian war began in 2011. In spite of the recent unrest in Syria, many of our classes continue, staffed entirely by our local trainers. This model for Capoeira Social Enterprise continues to offer free social programmes and broadens skills of local youth, providing them with paid employment. All profits have been reinvested in developing trainers and offering more classes, helping to improve the physical and psychosocial well-being of thousands of children. Bidna Capoeira (now Capoeira4Refugees) has been teaching capoeira in Syria since 2007. To date our sustainable social enterprise with local trainers has taught over 6,000 kids. The programme started by building interest in capoeira by playing and offering free one-off training in public spaces. A regular group was soon established with locals and international students. People who couldn’t afford the classes contributed their time, helping to build and promote the group. The classes covered the costs for two part-time trainers, allowing them to offer an ongoing ‘Free 4 Kids’ programme to underprivileged children. Our ‘batizado’ festival was an annual highlight, drawing visitors and volunteers from 25 countries growing awareness and demand for paid performances. Over the first two years our group and ‘Free 4 Kids’ classes expanded, building local recognition of capoeira as an effective means for improving psychosocial wellbeing. We were approached by international organisations such as UNICEF, UNWRA, Terre des Hommes, and Cartias. They funded classes at juvenile institutes for girls and boys, at a children’s hospital, UNWRA schools, and an eight month programme at Al-Tanf Refugee Camp. By developing a Training of Trainers programme we were able to build our capacity to offer more social programmes. Our programme included classes in first aid, programme planning, teaching skills, child psychology, social media, and languages. Social media proved a breakthrough, with our local trainers producing their own videos which we now use to help market to potential programme sponsors.